A good fitted kitchen can really make a home. Why not let JEM help you turn your aspirations into realizations. Some people like modern kitchens, contemporary in looks. Traditional Country kitchens may be more your thing or clean lines with a focus on materials and finishes may be the architect inside you reaching out. Whatever your choice – shaker style doors, solid wood or cool metal and clean cut glass workspaces, JEM know how to make your kitchen design work for you. JEM specialise in creating space where very little exists – terraced housing kitchens weren’t designed for the rigour of modern day families. Cost is also an important consideration. 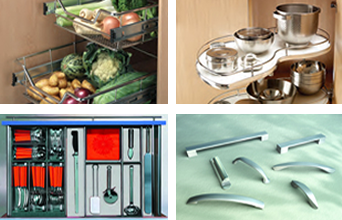 There is very little difference in a JEM Kitchen cabinet against some of the ‘best of breed’ marques that usually have the ‘best of breed’ price tag because of lavish showrooms. A high specification cabinet with a wide choice of doors, handles, worktops, lighting and appliances mean you can get a kitchen that not only looks the part but wears well and serves you well.